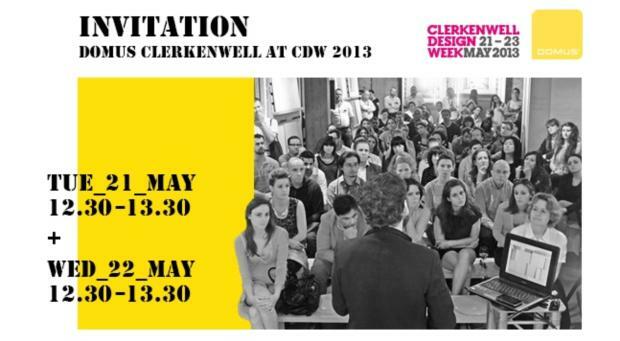 ‘i-am’ are proud to be a part of the brilliant Clerkenwell Design Week (running this May from 21 – 23) in conjunction with Domus Tiles. Taking place in their Clerkenwell showroom, Domus are hosting an event aimed at young professionals and graduating architecture students who want to get ahead and get a job in the design industry. With key insights from architecture and design agencies as well as HR Managers and Talent Developers, it’s an event not to be missed. One of the speakers will be ‘i-am’s very own Jon Blakeney. Jon will impart some of his wisdom about what it takes to be noticed in such a competitive market. As an industry veteran, Jon has a fascinating insight into the world of branding, architecture, interior and graphic design. So, whether you are just about to graduate, still have a couple of years to go, or even if you graduated years ago, there’ll be something for everyone. Like what you hear? Want us to help you create a shining career in design? We are always on the hunt for design pros, bright stars and creative geniuses. We want to hear from you, get in touch!